Erin Morris: He is in you. 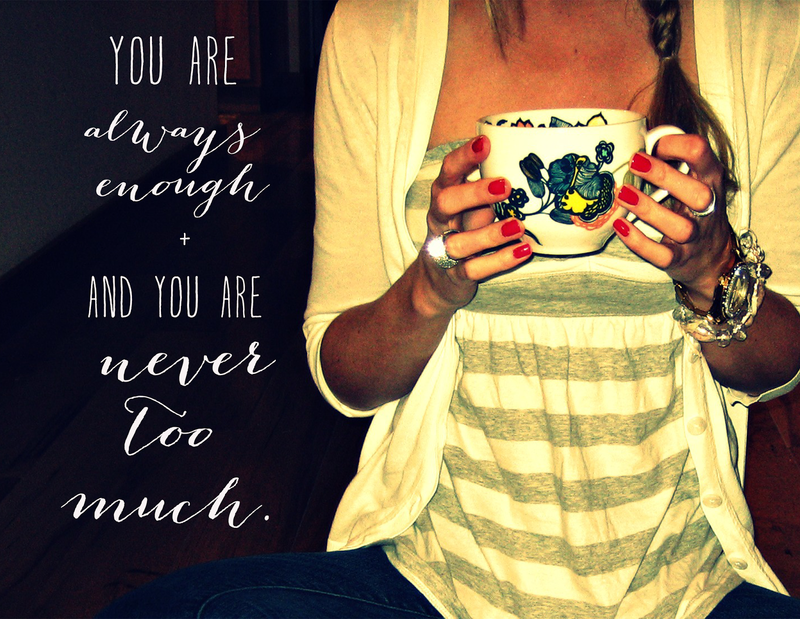 Sometimes we face these feelings: the I am not enough. And the I am far too much. But love, you are enough. And you are NOT too much. You are so loved. Wanted. Forgiven. And HE is in you. My dear friend Nadine told me the other day: He is in you. Whether you feel it or not. In Christ alone is our worth found and He is in us. Quote + photo from my eBook, "P.S. He Loves You" - buy it here! This was perfect this morning. Just yesterday I prayed about my struggle with receiving Christ, the hope of glory IN ME. I could accept Him WITH ME, FOR ME, and even Him filling me with His spirit, but I couldn't see Him making a permanant residence in me, someone so weak. Love this and your beautiful heart and super excited about all of these insta photos I've spotted lately...super duper excited for you sweets!